PRISM MARKETING CONSULTANTS || FEBRUARY 6, 2015 || As promised Dancehall recording artiste Aidonia is definitely taking a proactive approach towards his career for the New Year with the unveiling of a new project. Coming on the heels of his 1V Clothing Line and the Maxfield Park Primary School Scholarship program, the ‘Bad People’ deejay in the days ahead will commence work on his latest venture; a movie chronicling snippets of his life and that of the members of his camp. Though still in its infancy the proposed 40-minutes visual will be an accompaniment to the soon-to-be-released ‘Open Sky Rhythm’ which showcases the musical skill set of the JOP camp among other top tier acts. 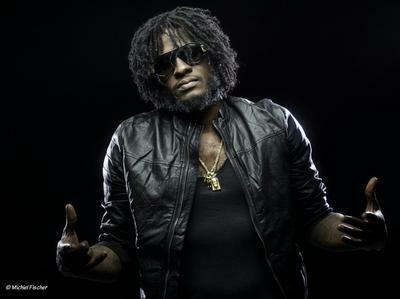 According to Aidonia, he didn’t want to merely shoot another set of videos but instead present the compilation in a more realistic and appealing manner via a movie format while still encompassing the personalities of each member of his camp into the storyline. “JOP has always been about difference and setting trends, from the way we pen lyrics to even the delivery. So we decided to present the Open Sky Rhythm but in a different format from the cliché music video and hence the birth of the movie concept. The fans can look out this project is definitely going to be something to talk about.” – He explained. Though sparse with the details Aidonia admits he has enlisted the services of three accomplished directors to work in tandem with him and his team and affirms that the final product will be as thrilling as any silver screen blockbuster. Meanwhile, with his song ‘LIGHTENING’ featured on the ‘Wul Dem Again’ rhythm enjoying immense popularity in the local entertainment space, the fast rhyming lyricist has struck again with another potential club banger, this time adopting a retro-styling on his latest effort titled ‘90s GANGSTA TOWN’. Produced by Ancient Records and featured on the Brawd Board Riddim, the deejay offers a stern warning to all the modern day wannabe gangsters.